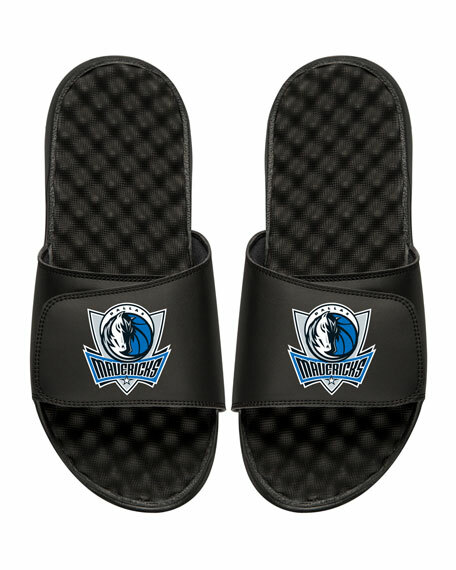 ISlide rubber and fabric slide sandal featuring the NBA's Dallas Mavericks team logo. Men's sizing note: ISlide does not carry half sizes. If you are a half size, we recommended you round up to the next full size. Women's sizing note: ISlide sizes are based on a men's mold. If you are a whole size, we recommend going one size down. If you are a half size, we recommend choosing a size and a half down. 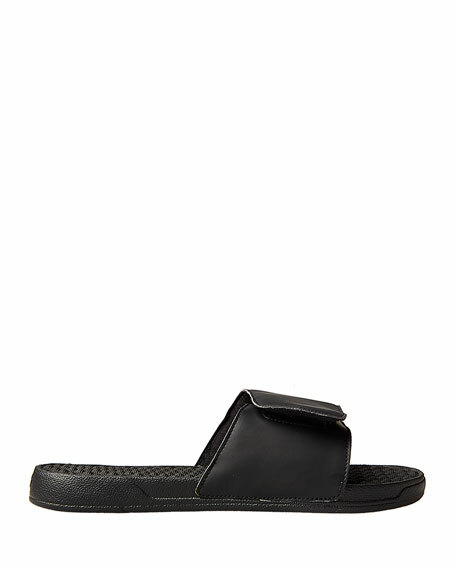 For example, if you are a size 8, we recommend size 7. If you are a size 8.5, we also recommend size 7.